1. Record the results of the inspection and testing to make sure the electrical installation is safe to be used until the next inspection (following any work needed to make it safe). 2. Find any damage and wear and tear that might affect safety, and report it. 3. Find any parts of the electrical installation that do not meet the IEE Wiring Regulations. 4. Help find anything that may cause electric shocks and high temperatures. 5. Provide an important record of the installation at the time of the inspection, and for inspection testing in the future. 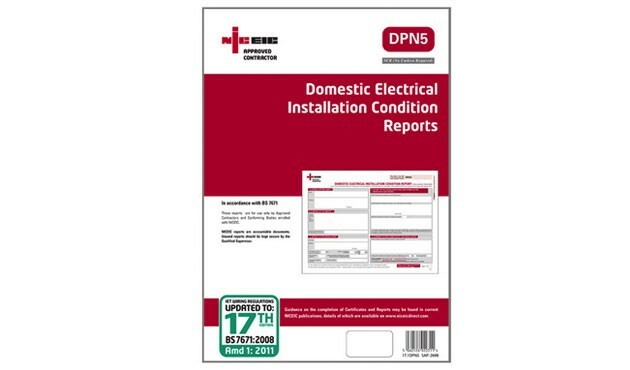 G.P.Green Electrical can carry out NICEIC electrical condition reports and repair and remedial any works required. Contact us today to arrange a time to suit you.